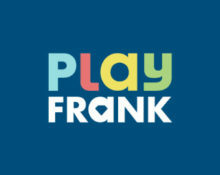 Play Frank – Old School Cool Challenge! 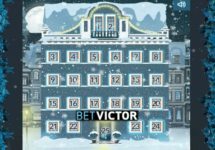 Free Spins and Bonuses coming your way! Another week at Play Frank with not one, but two rewarding challenges that will see Free Spins, with and without wagering attached, as well as a 50% bonus going to all players completing each challenge. First up is ” Old School Cool” followed by “Once upon a time” on the weekend. Not to be missed! During the “Old School Cool” challenge, all players can be rewarded with up to 120 free spins on Dead or Alive and a 60% Bonus. Get the first Free Spin reward for your first deposit of this week. Then wager on one of the old school slots to collect another 100 Free Spins. Complete the whole challenge and wager the amounts to receive a 60% Bonus. Minimum deposit of $20 is required to be eligible for the Free Spins. Free Spins are added the soon the challenges are completed. Wagering requirement is 30x for the Bonus and 40x for the FS winnings, subject to Play Frank’s Bonus Terms and Conditions. Enjoy an awesome time at Play Frank and get a 50% reload bonus for your weekend gaming, plus collect up to 30 Free Spins on Fairytale Legends: Hansel and Gretel™, no wagering attached. Minimum deposit of $20 is required to be eligible for the bonus. Wagering requirement is 30x for the Bonus, subject to Play Frank’s Bonus Terms and Conditions. Winnings from the Free Spins are cash, no wagering requirement.